The Pre Board/Endowment Committee meeting was convened by President Susan Haikalis at the Haikalis home for those members of the Board, Advisory Board and spouses who had arrived early for the Board meeting on Friday and Saturday and for the members of the Endowment Committee. Prior to dinner President Haikalis welcomed those in attendance and introduced Phil Economopoulos who is with Raymond James & Associates, Inc., and who the Committee, with the Board’s approval, was engaged to manage the Endowment Fund. Phil gave a brief report on the status of the Fund, its performance since inception, his investment philosophy and adherance to the conservative guideline given to him by the Endowment Committee that preservation of capital was of primary importance and that not more than 50% of the Fund be invested in Equities. Following a very full discussion and after Phil answered all questions the Endowment Committee, under Chairman Peter Haikalis, voted unanimously to authorize Mr. Economopoulos to increase the amount invested in equities to no more than 60% with the timing and selection of investments to be within the exercise of his judgment. Following Phil’s presentation Susan and Peter hosted dinner for all those is attendance: to-wit: Archbishop Nathaniel, Andy and Katherine Kartalis, George and Harriet Pontikes, Peter and Belle Petkas, Bill Souvall, George Karcazes, Phil Economopoulos and Executive Director Matsoukas. The Board meeting convened at 9:00 A.M. at the Marriott Walnut Creek. Present at the meeting were, Board and Advisory Board Members: Archbishop Nathaniel, Souvall, Kartalis, Peter and Susan Haikalis, Karcazes, Xeros, Petkas, Pontikes, and Executive Director Matsoukas. The opening prayer was offered by Archbishop Nathaniel. President Susan Haikalis called the meeting to order and after asking if anyone had any items they wished to add to the agenda, proceeded through each item of the Agenda. On motion made by Pontikes, seconded by Karcazes and unanimously carried, the minutes of the Board meeting in Franklin, Tennessee were approved. The financial reports were distributed, discussed and approved. The budget was discussed. Archbishop Nathaniel and Andy Kartalis discussed the OCF meeting at St. Andrew’s House in Detroit and preliminary proposals for developing a “Student Advisory Board” or Committee of OCL were discussed. Executive Director Matsoukas gave his Report and reported on the efforts to bring Mr. Eric Namee, President of the Farrah Foundation and a member of the Secretariat of the Assembly of Bishops to this meeting to discuss the progress of the Assembly. He also reported on Metropolitan Nikitas’ last minute cancellation as a Presenter. A broad ranging discussion followed covering how to enhance the use of social media to reach younger Orthodox; the need to acknowledge the contribution of Bill Souvall’s family in funding and developing the website; and, how to develop the means to include more Board members (younger/female/pan-Orthodox potential Board members) in meetings using Skype, speaker phones, etc. A suggestion was offered that the Executive Director consult with Deacon David or others on whether and how OCL can send personalized emails requesting funds to ITS EMAIL LIST (rather than bulk email blasts). There was also a discussion as to how the Executive Director, Joanne and Susan can access the operating bank account so that they can have instant access to OCL’s financials. Mr. Karcazes reported that he had met with the bank and was advised that such access (through the on-line NetBanker) requires him and Mr. Pontikes to appear personally at the bank to sign -up for access and to get the required user name and passwords; but that sharing that information with anyone other than the two signatories will give unlimited access to make transfers, etc. Mr. Karcazes was asked to inquire if there is a way to give the Executive Director, Joanne and Susan “Read-only” access. Following a lengthy discussion, on motion by Mr. Pontikes, seconded by Mr. Souvall and unanimously carried, the formation of a committee was approved to reach out to Peter Zarras [and perhaps Deacon David and other tech-savvy individuals]to investigate the technology that is available for the Board to improve communications and assist in the vital task of Board Development. Mr. Pontikes volunteered to chair the committee which will initially include Messrs. Kartalis and Souvall, as well as President Haikalis. Mr. Pontikes indicated that he would reach out to Dr. Woloschak to join the committee and invited participation by anyone else who might be interested. It was agreed that this committee will have the additional charge of focusing on Board Development and how to attract the next generation of OCL leadership, using social media and technology, while recognizing that “in -person, face-to-face” meetings of Board members at least once or twice a year will continue to be essential. President Haikalis gave her report, emphasizing her active communications with the Executive Director in reaching out to be advocates of Orthodox Unity including getting the message of the Assembly of Bishops’ website out to OCL’s followers. A discussion of how to re-energize and involve the members of the Board and Advisory Board in spreading OCL’s messages of Unity and transparency and accountability in Church governance followed. President Haikalis again called upon those present at the meeting to recruit at least one or two potential new Board members before our next Board meeting. The Board recessed for lunch and reconvened at 2:00 PM. Mr. Kartalis reported on the Cleveland Forum on the work of the Assembly. It was agreed that a template of how that meeting was organized and conducted should be prepared, to serve OCL in organizing similar Forums through-out the country. It was suggested that fund-raising around a specific project is often easier than fund-raising for general operations and that raising the modest amount of funds needed to sponsor such Forums should be explored. Archbishop Nathaniel suggested several ideas for OCL to raise awareness of its mission and goals, among which was for members of the Board (and others they may recruit) to volunteer to build a house in Mexico under the auspices of Project Mexico. This suggestion was warmly received and a number of Board members indicated their willingness to participate. Archbishop Nathaniel will check on available dates and coordinate with Mr. Matsoukas. 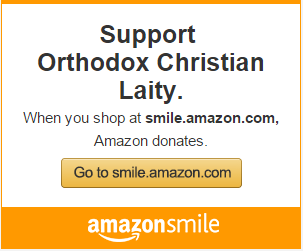 Archbishop Nathaniel also suggested that OCL consider a donation to the Antiochian Archdiocese earmarked for Syrian Relief. On motion made, seconded and unanimously adopted (and subsequently amended) it was agreed that a donation in the amount of $1,000 be sent to the Antiochian Archdiocese for Syrian Relief. The issue of contributions having been raised, the Board voted unanimously to donate $200 to each of the two Parishes [Holy Resurrection Romanian Orthodox Church and Holy Trinity (Serbian) Orthodox Church] who are hosting OCL during this meeting. 1. George Aravosis and James Koulogeorge were transferred to the Advisory Board. 2. Dean Calvert, Lee Kopulos* and Rev. Ireeneaus Watson were removed from the Advisory Board. 3. The listing of George Kappos on the Advisory Board will show “deceased” following his name. 4. Peter Petkas and Alice O. Kopan (whose terms expire this year) were re-elected to the Board, with terms ending in 2016. [* Lee Kopulos will continue to be listed under “Past Presidents”. Mr. Haikalis then asked that the members of the Endowment Committee convene to formally ratify the decision to instruct Mr. Economopoulos to increase the equity mix of the Endowment’s portfolio to “up to 60%” in equities. On motion made, seconded and carried the decision was ratified. Mr. Haikalis indicated that he was prepared to step down as Chairman of the Committee (but will remain very active, particularly in putting together the list of any unfulfilled pledges and reaching out to them. Thereupon, on motion made, seconded and carried Mr. Kartalis was elected Chairman, M.r Souvall was elected Vice Chairman, George Karcazes was elected Secretary-Treasurer and Peter Petkas was elected to replace Mr. Koulogeorge who was retiring. The Executive Director was asked to contact those members of the Board who have not attended meetings and inquire whether (a) they are interested in remaining on the board; (b) whether they can commit to attending at least one meeting per year in person; ( c) whether they can commit to participating in meetings by phone, Skype ,etc. ; or (d) if they prefer to be transferred to the Advisory Board. The Executive Director was also asked to contact Mr. Koulogeorge to see if he will agree to continue preparing OCL’s tax returns, Annual Reports, etc., and if he will send copies of the last three or four years returns to Joanne for her to keep. A discussion followed concerning the location and date of the next Board meeting. 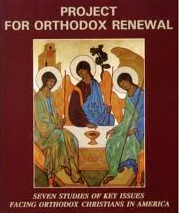 It was noted that there will be a “Pan Orthodox Fellowship Weekend” in Akron, Ohio May 30-June 1, 2014 and that it might be an opportunity to meet at the same time and place. Upon Motion, made seconded and unanimously adopted the meeting was adjourned.